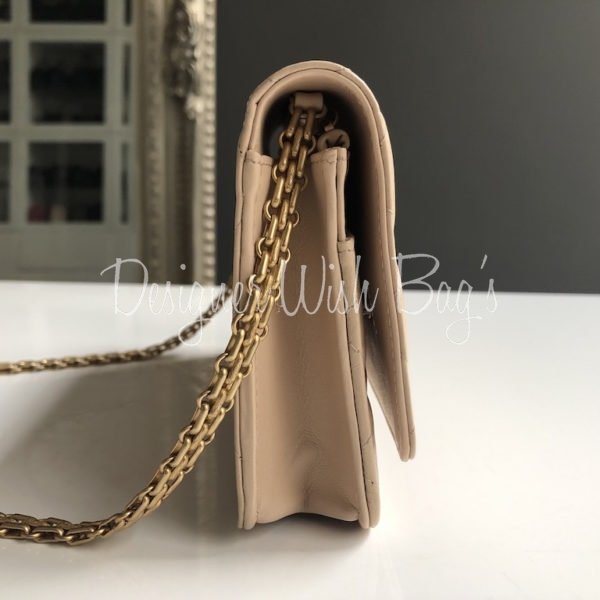 Crafted in stunning Beige Distressed Calf Leather with Gold Hardware. 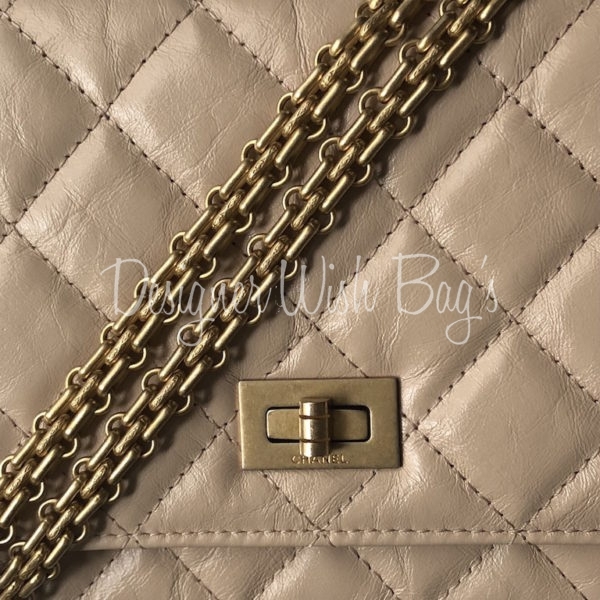 It closes with the Chanel Mademoiselle turn lock. 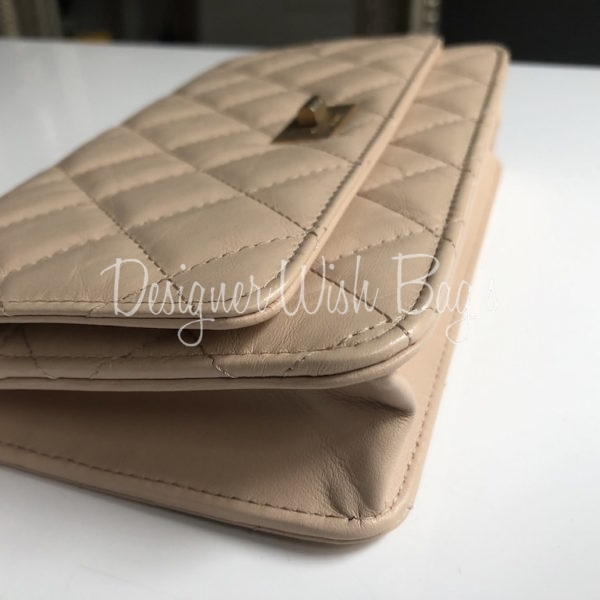 Distressed Calf leather is a very resistant, scratch free and beautiful! 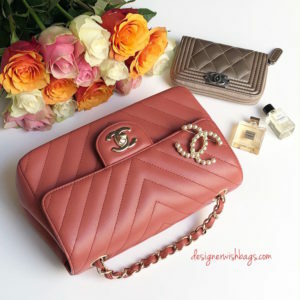 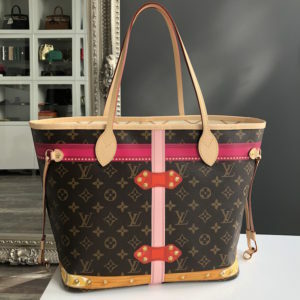 This practical bag can be worn cross body, shoulder, as clutch or wallet with the chain inside. 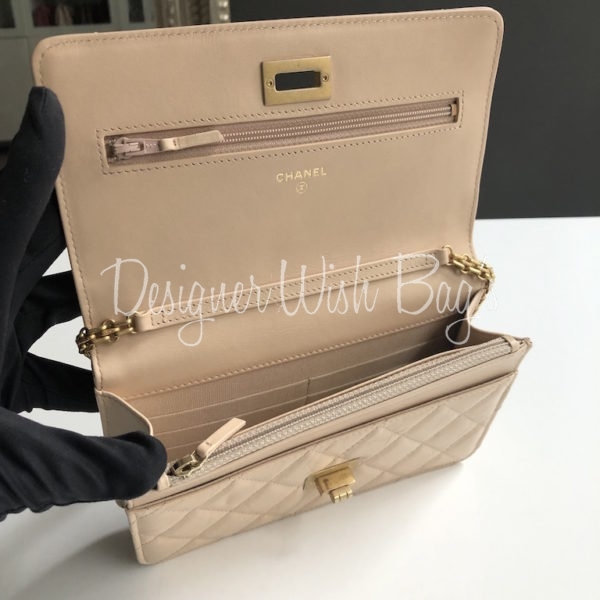 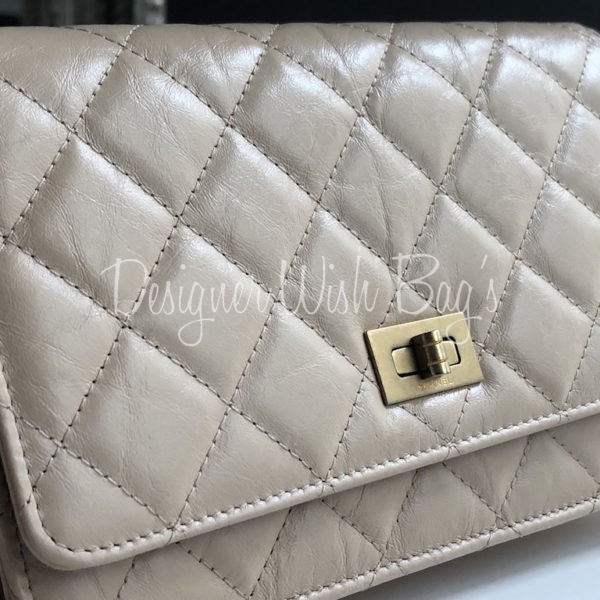 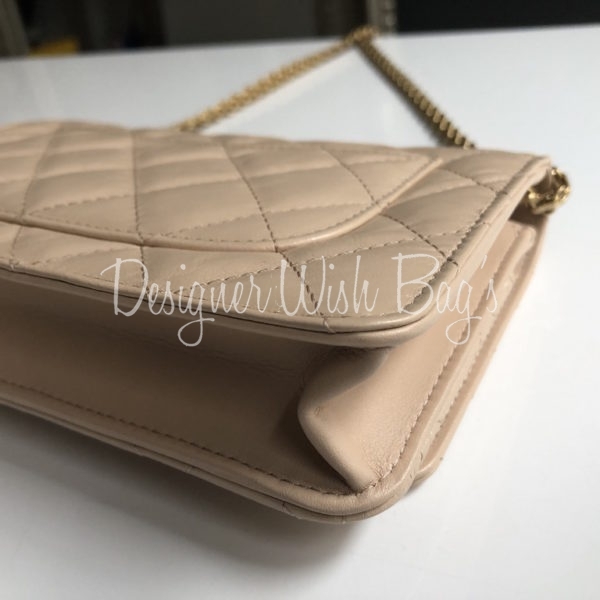 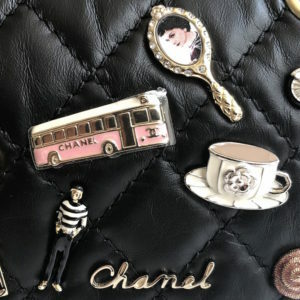 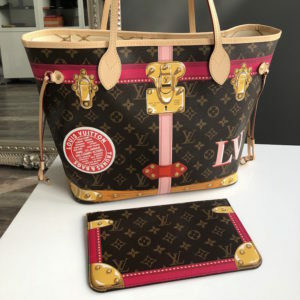 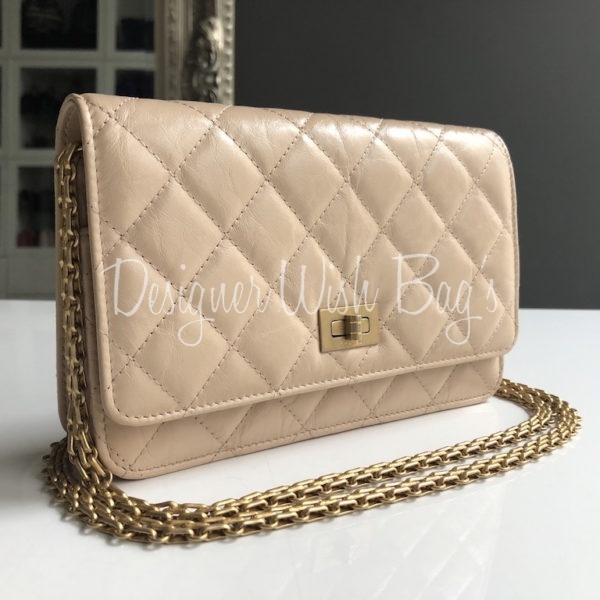 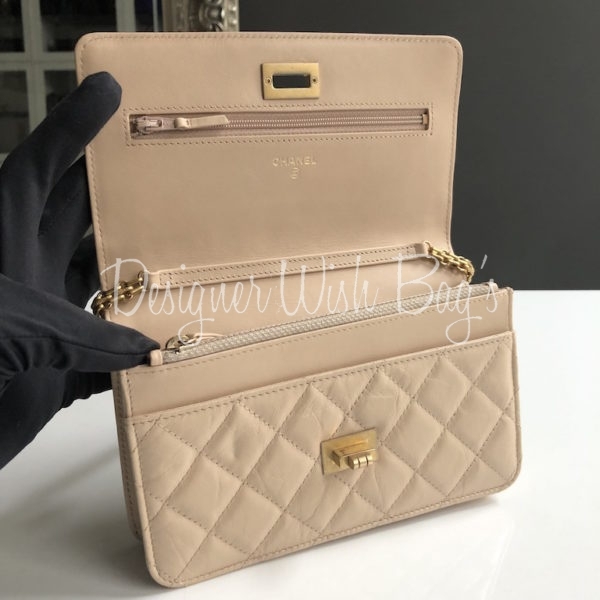 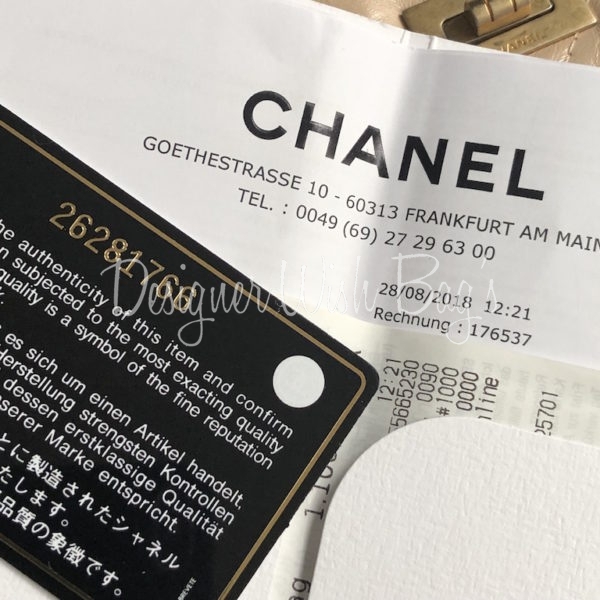 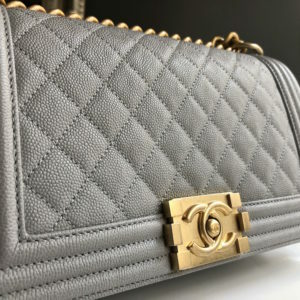 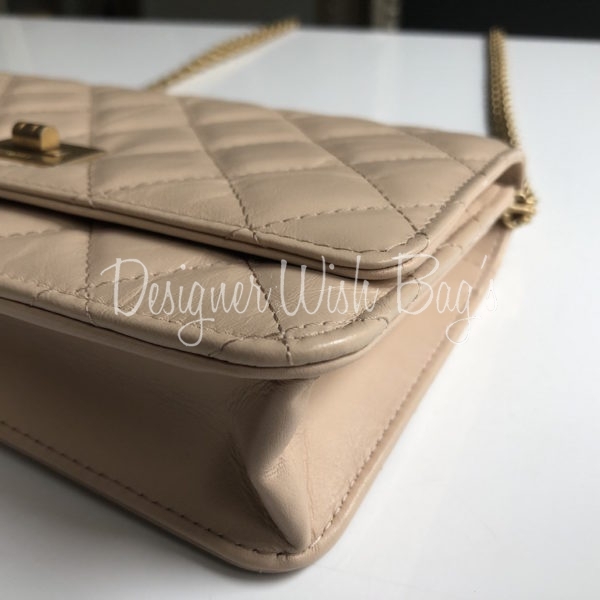 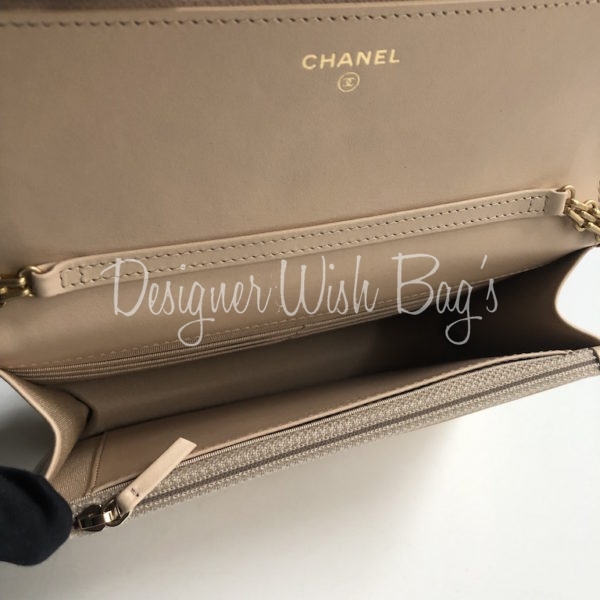 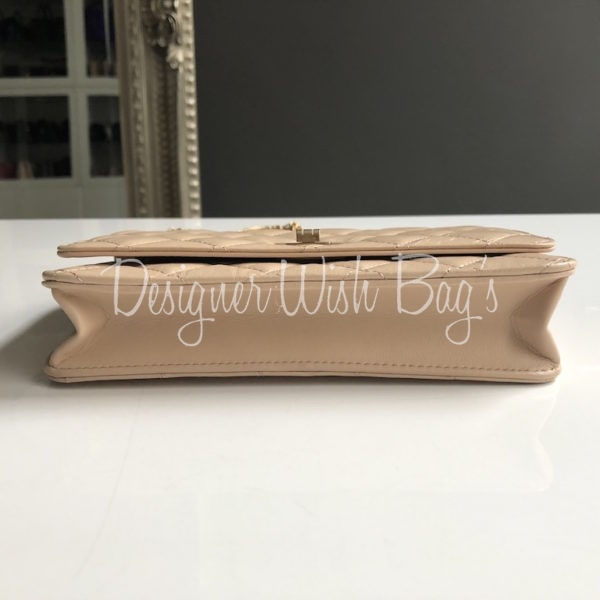 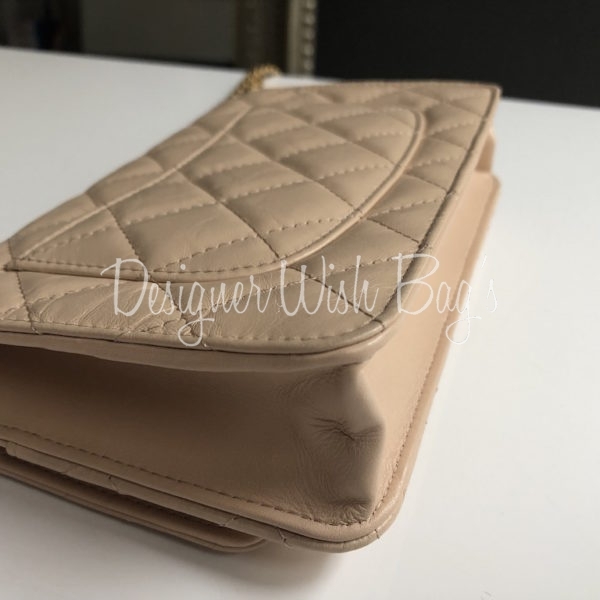 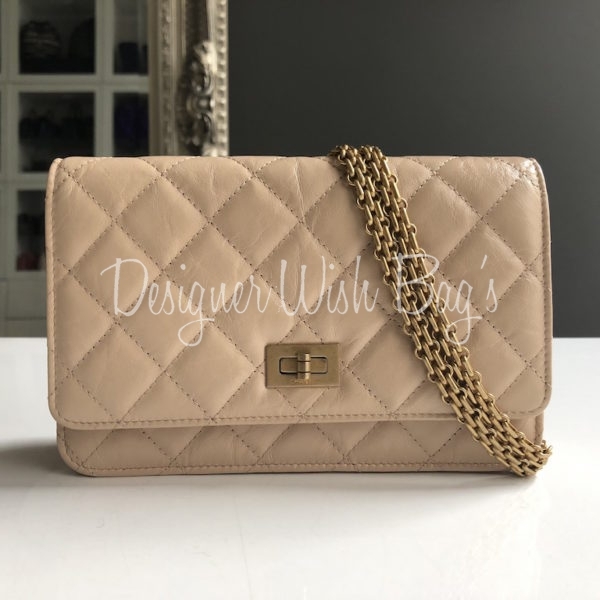 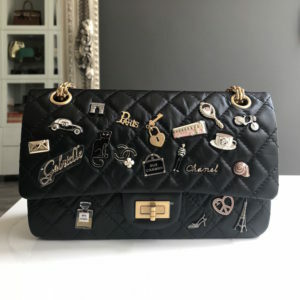 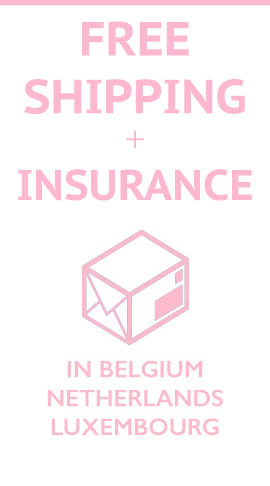 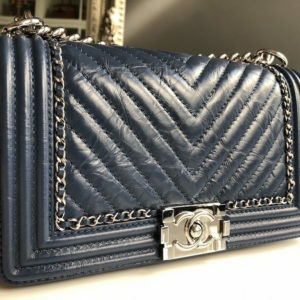 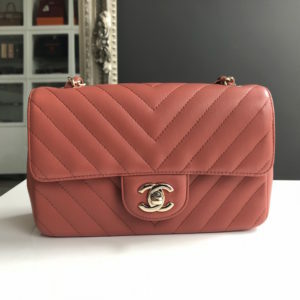 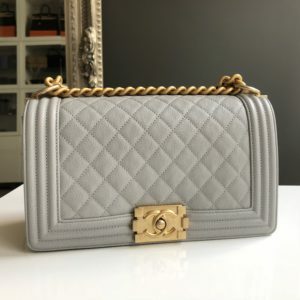 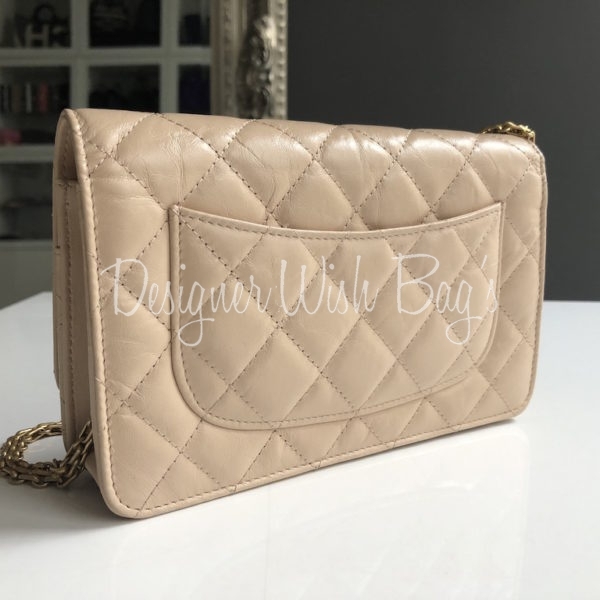 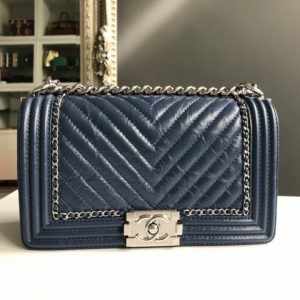 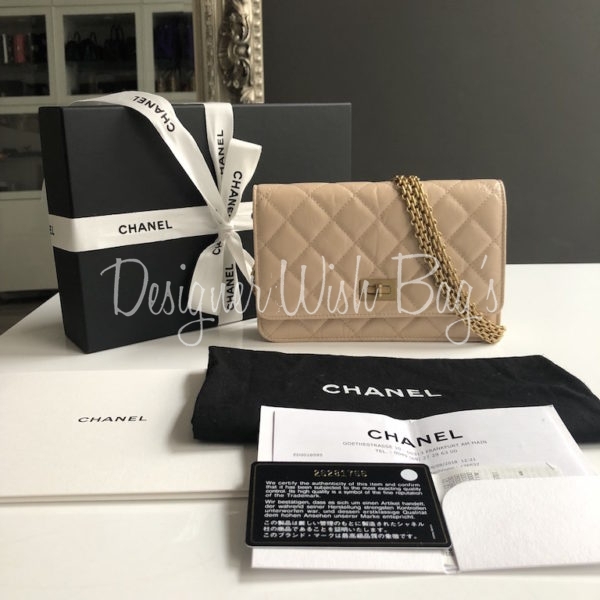 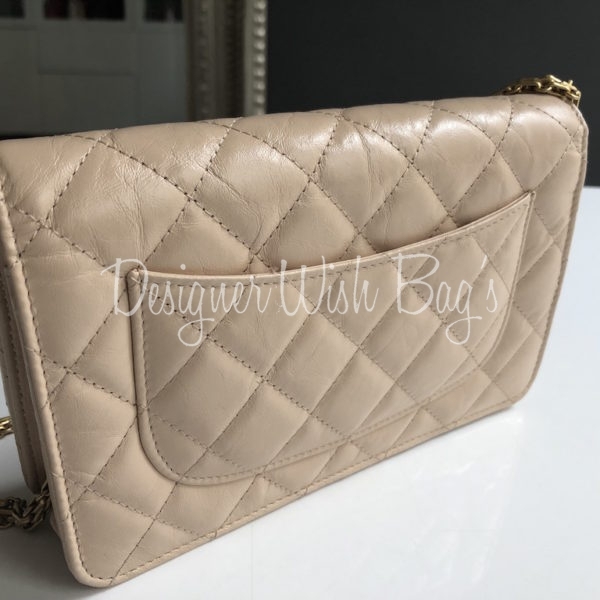 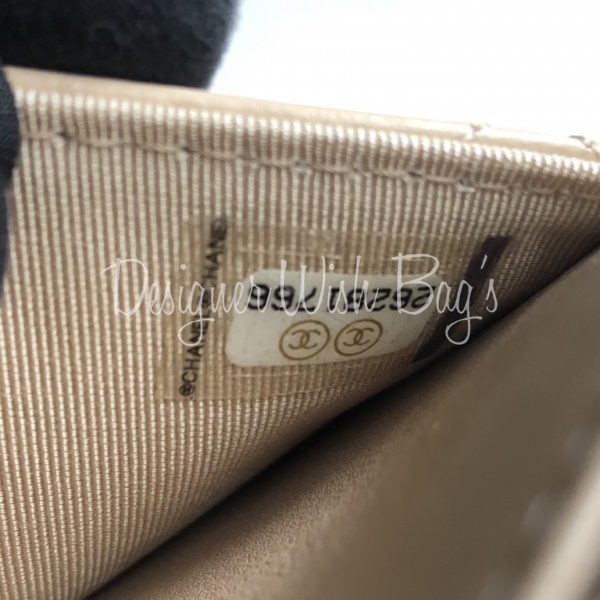 Will be delivered with full Chanel set; Box, dust bag, authenticity card, booklet and original Chanel receipt from 08/2018.